Kiana Bates: ihop hot cocoa, though. 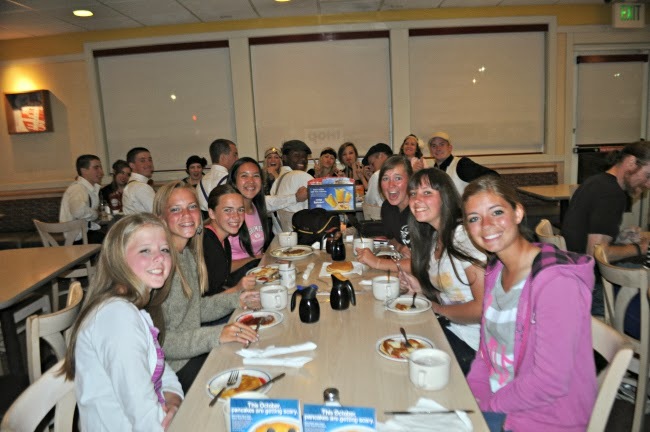 It may seem that we go to iHop a lot...but we don't. We just go there for hot cocoa. Last night was sadies, but since we were so dang tired from band camp, we decided to get some hot chocolate instead! We walked in and I saw one of my old friends from junior high who was going to sadies that night (which explains the photobombers in the fancy clothes). We played spoons, drank hot cocoa, and were extremely obnoxious. But it was all fun and exciting, and eventually ended in spilled cocoa and all the spoons snatched from the table.